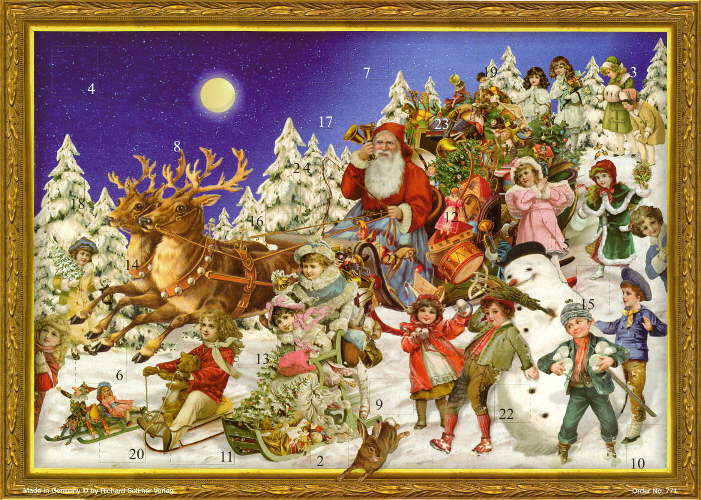 Today is my daughter Hannah’s birthday ~ she is 24 years old, and, it is also Saint Lucy’s Day or Santa Lucia. 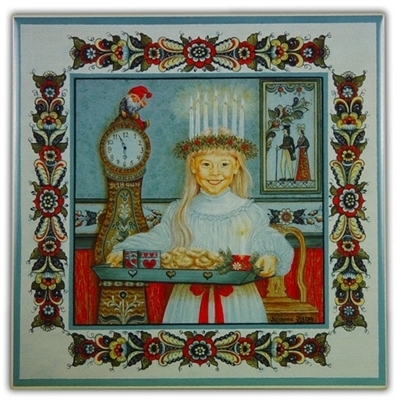 Although the day is celebrated in Catholic countries throughout Europe, I am instinctively drawn to how the festival is celebrated in Sweden and Scandinavia; the oldest daughter of the family rises just before dawn and dresses in a white gown with a red sash, which symbolises Lucia’s purity and her martyrdom. On her head she places a crown of lingonberry twigs and leaves in which candles are set, in memory of the candles Lucia wore when she visited the prisoners. She is now the “Lucia bride” or the “Queen of lights”. It is these little saffron buns that I would like to share with you today, as a special birthday breakfast for Hannah; and as I cannot be with her today she will have to share a “virtual” birthday breakfast with me here! Grease a baking tray. Soak the saffron in the milk for 5-10 minutes. Combine the flour, yeast, salt and sugar in a mixing bowl and make a well in the centre. Stir the melted butter into the milk and saffron mixture and pour into the well. Add the Quark cheese. Stir together briefly, then bring together as a dough. Knead on a floured surface for 10 minutes, or until smooth. Place in an oiled bowl, cover with oiled clingfilm and leave in a warm place for 1½-2 hours until well risen. Knock back the dough and divide into 12 pieces. Roll each into a rectangle about 20cm/8in long. Twist each into an ‘S’ shape, as tight as possible. Place on the prepared baking sheet and cover loosely. Leave for 30-45 minutes or until puffed up. 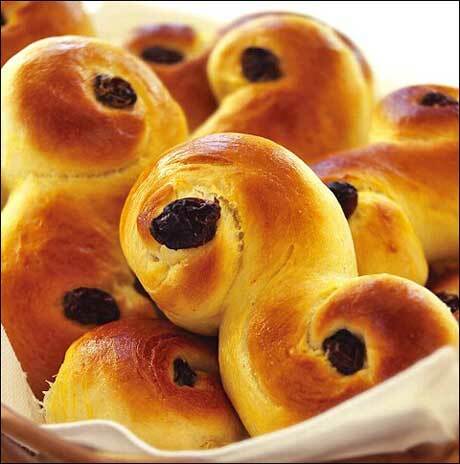 Brush the rolls with the egg yolk, then place one raisin in the centre of each circle (two raisins per roll). Bake the rolls for 15 minutes, then remove from the oven and set aside to cool on a wire rack. Happy birthday to Hannah! That's a lovely photo of her. Thanks for the history behind st Lucy's day – I didn't even know it existed. These buns look amazing and I love the shape of them. Yay, the first St. Lucia day post in my reader! Its still the 12th here 🙂 A very happy birthday to your daughter! She is beautiful, hope she has a wonderful day. 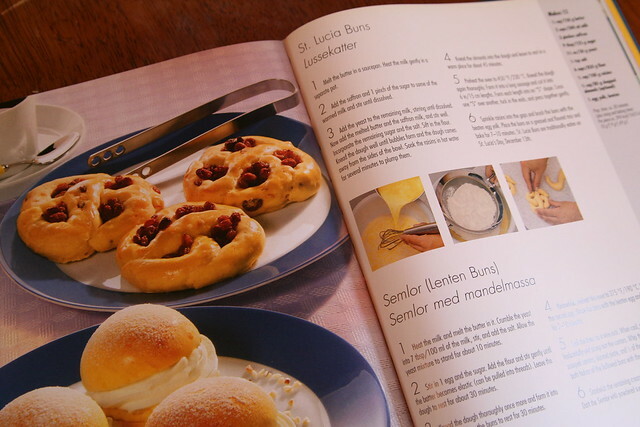 I keep wanting to make these buns but I dont have saffron….not sure where it is in the store. Spices, I would guess? Happy Hannah Day and St Lucia of course! What beautiful photos Karen. She's very pretty. In case you haven't heard and there's no reason why you should ~ although I have been shouting it from the rooftops ~ my daughter arrives here in 7 sleeps time. I haven't seen her since last January (a long story) but these buns are perfect for our first breakfast together. I even have saffron in my store cupboard already. She arrives in from Scotland in the very early hours so they'll be perfect. Happy Birthday to Hannah 😀 My younger daughter is 24 … don't the years fly! In elementary school, one of my friends was obsessed with the Kirsten American Girl doll and books. (http://americangirl.wikia.com/wiki/Kirsten_Larson) There's a book where Kirsten plans a St. Lucia celebration for her family, so my friend had to do it, as well! That's the only time I've had a Lucia bun. I think the recipe even came from the Kirsten cook book. P.S. Hannah looks like she'd be a perfect St. Lucia. Happy Birthday to her! Happy, happy birthday to that STUNNING daughter of your's! My goodness she is beautiful. I have always had a thing about Saint Lucy with her candles and light… and often associate her in my muddled mind with Christina of Sweden with all her culture and erudite mind. Happy thoughts and nice to be back. Happy Birthday Hannah. What a lovely photo! These buns look so lovely. Happy Birthday to Hannah and Happy Santa Lucia Day. Lovely saffron cakes, I've had saffron cake in Cornwall, but I'm sure they didn't use real saffron to colour and flavour it! Hope Hannah had a Happy Birthday. Love saffron as an ingredient. Fabulous post – so interesting. I’d love to make the buns. (Not sure what quark cheese is!) Also shared with G+.